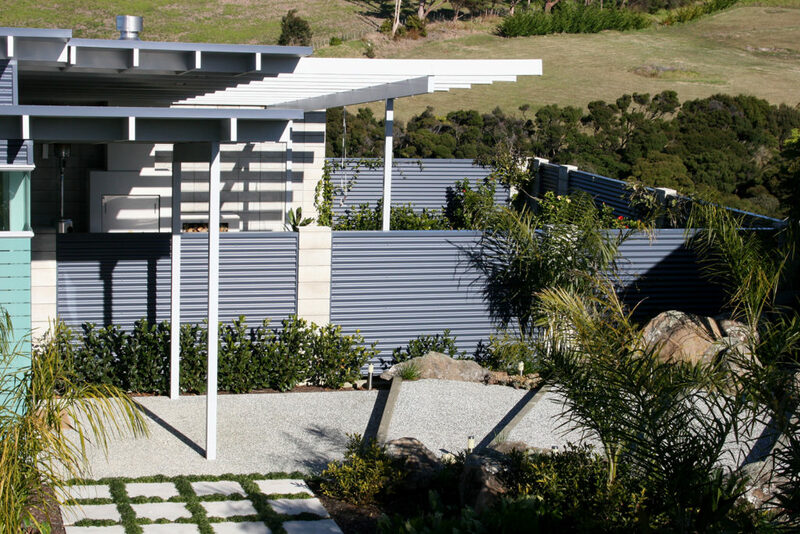 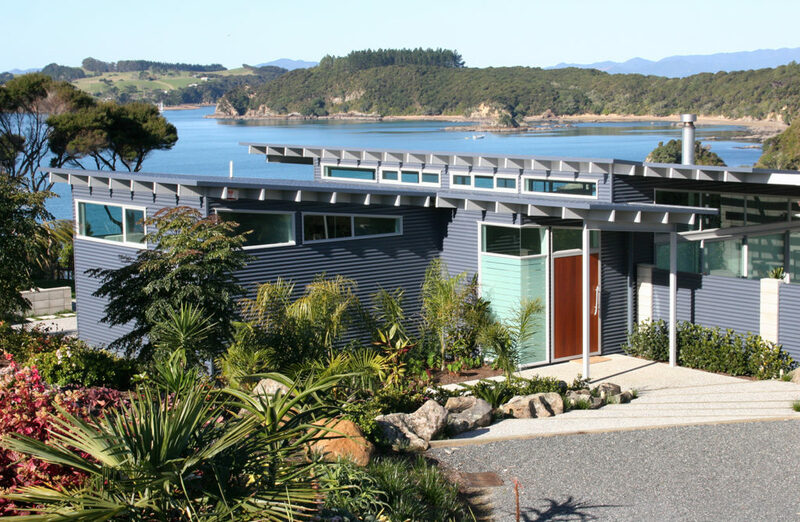 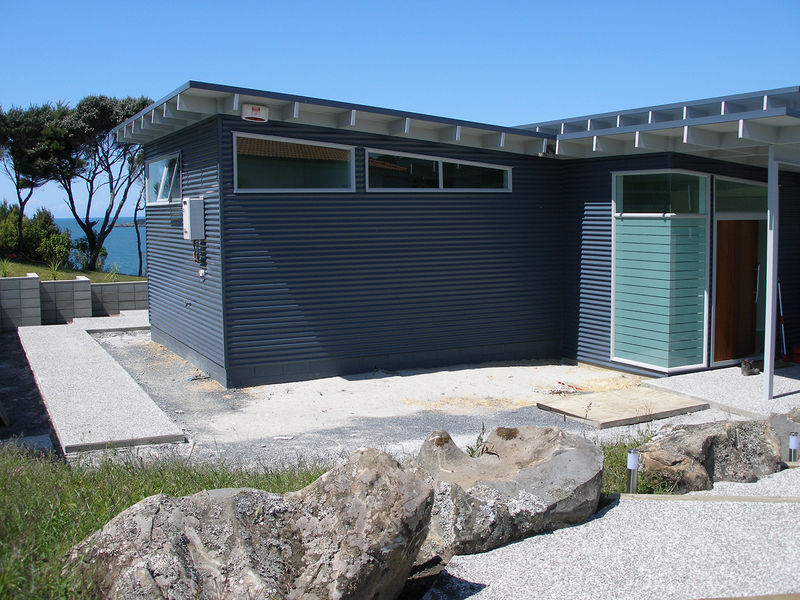 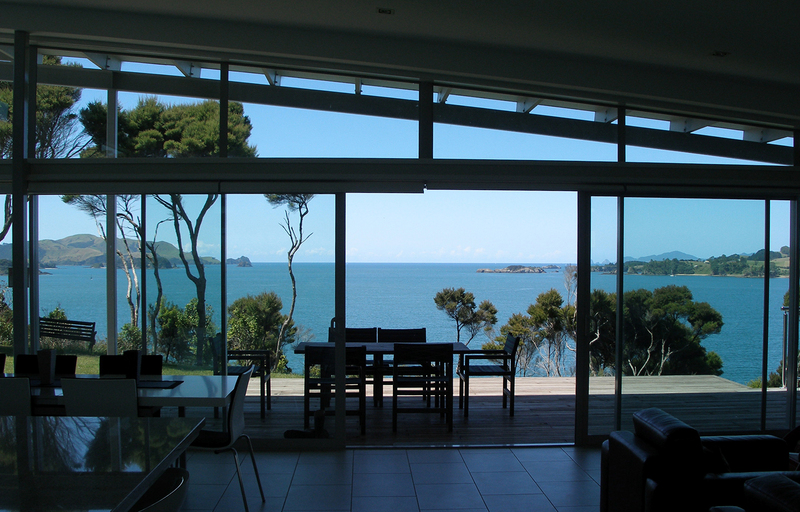 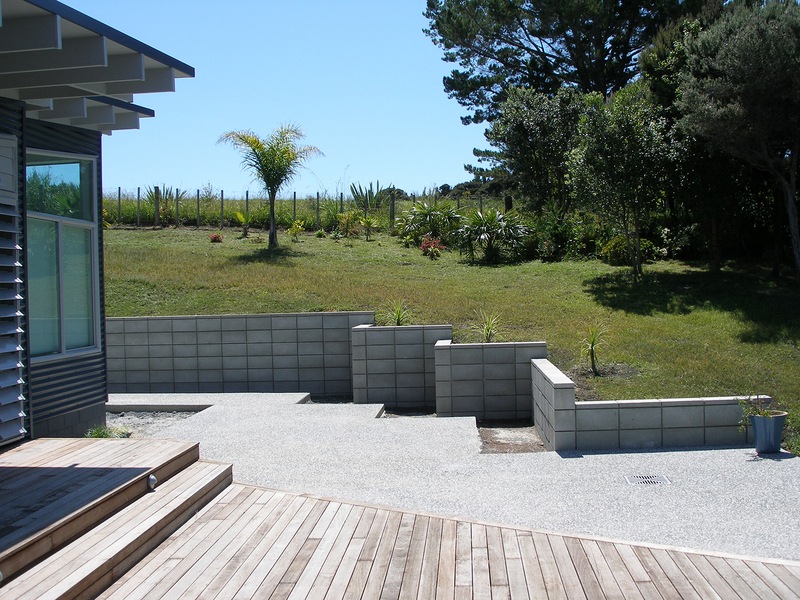 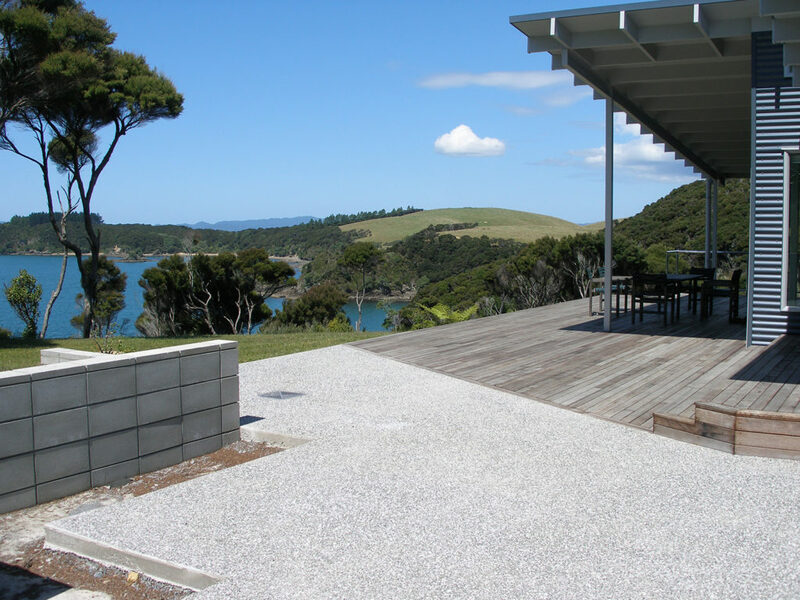 An easy care garden was required to compliment this small holiday home overlooking the Bay of Islands. 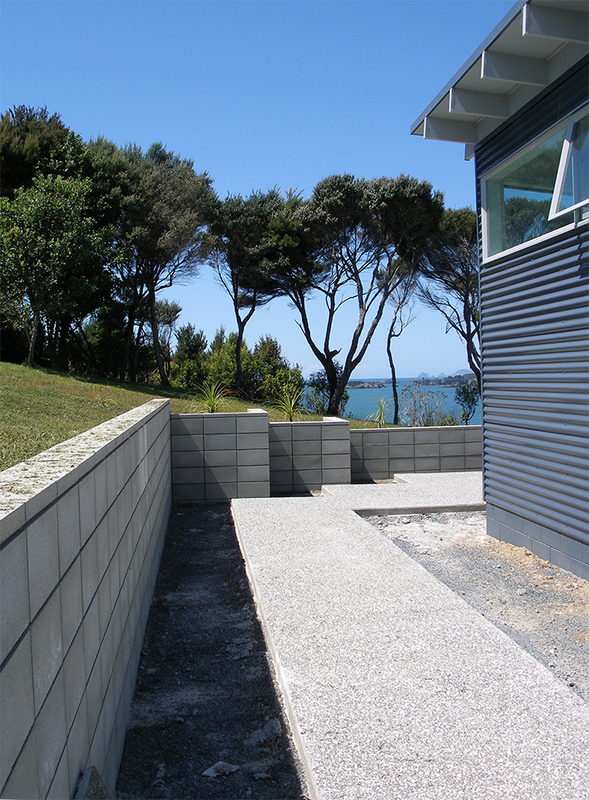 The new home was located close to the cliff edge with an amazing sea view. 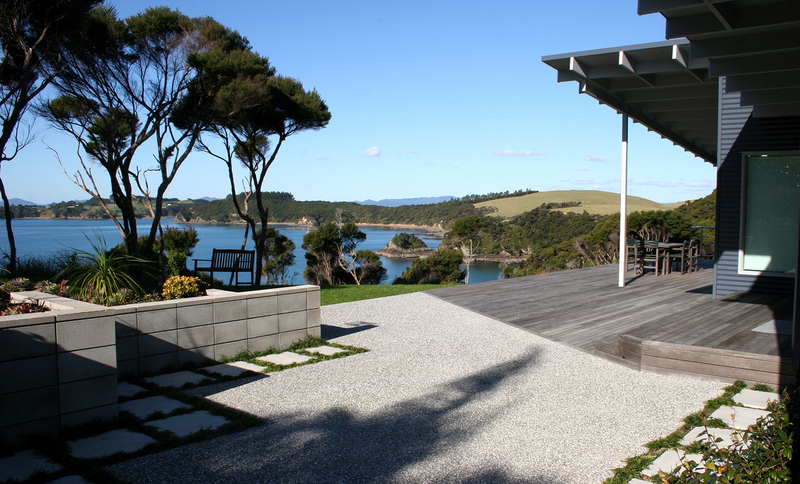 To fully appreciate the view the landscaping on this side of the house was kept to a minimum with just a deck and lawn area blending into the Manuka. 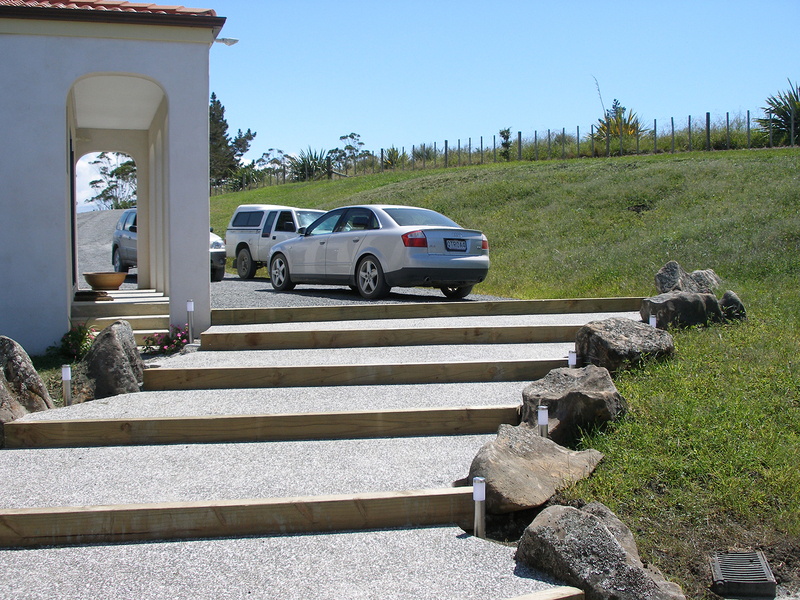 An existing garage building on the property was retained, so a link between the two buildings was created using wide timber and concrete steps edge with natural local stone. 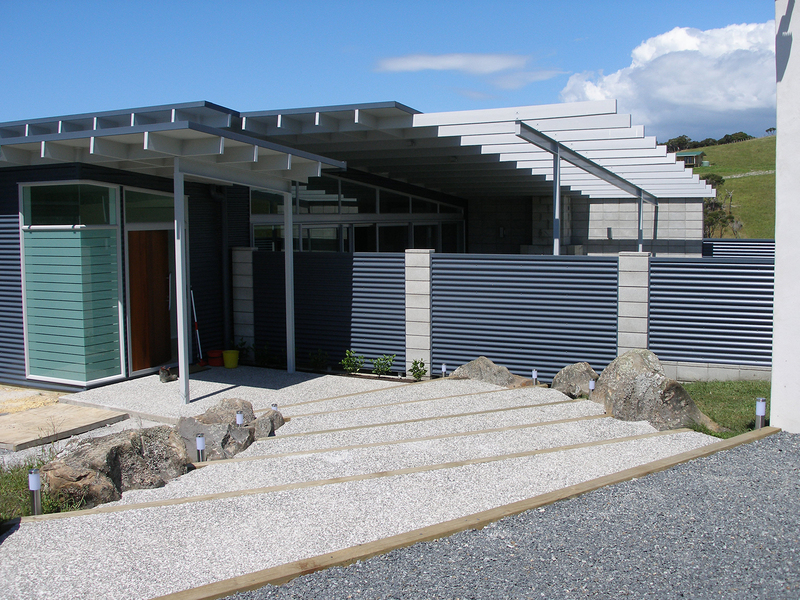 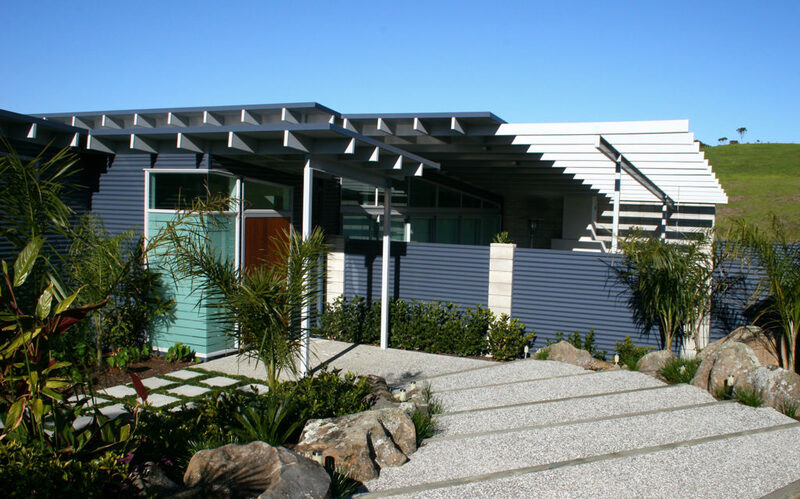 An exposed concrete block retaining wall around the side of the house creates a contrasting material and colour to the corrugated iron building. 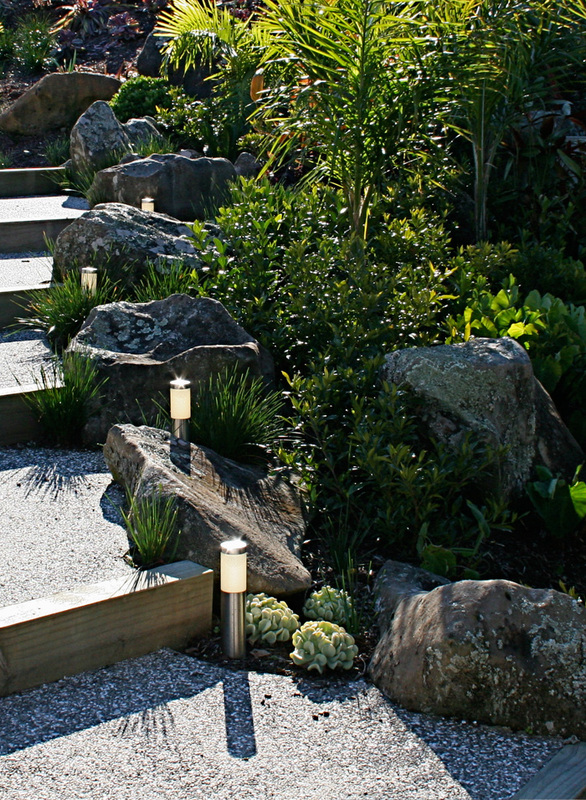 Flagstone paving inter-planted with miniature Mondo grass provides an interesting combination of patterns to the pathway around the side of the house. 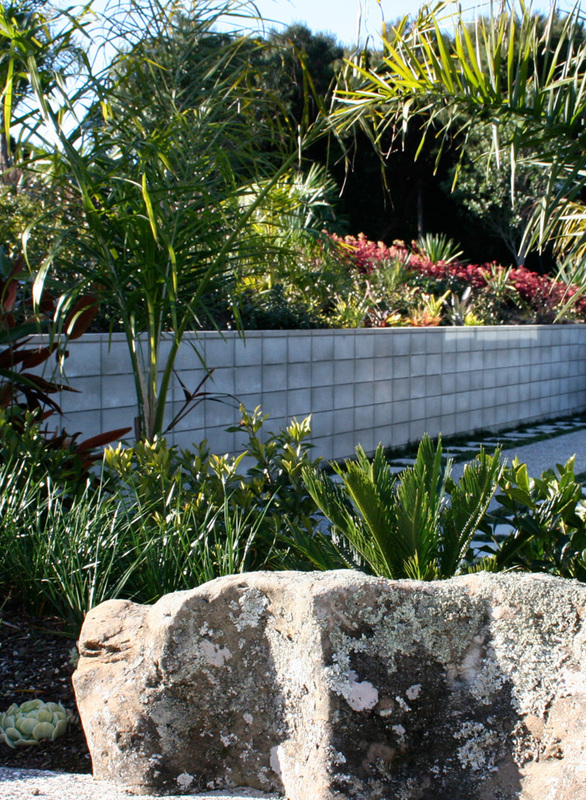 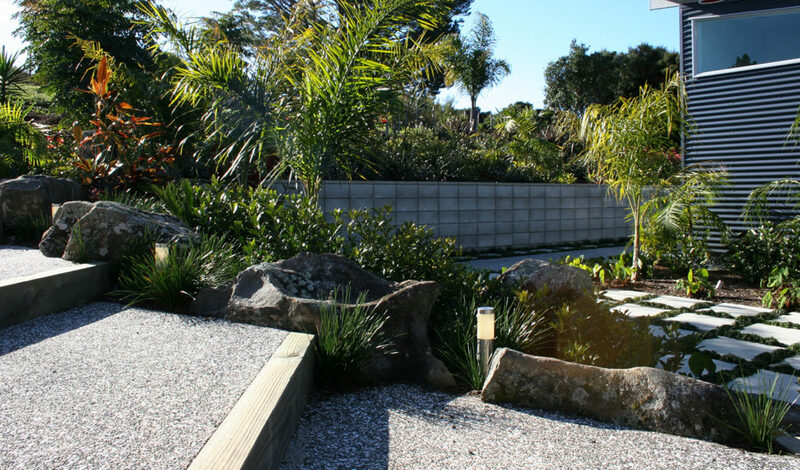 A mix of the clients favourite plants provide a sub-tropical theme to the plantings.